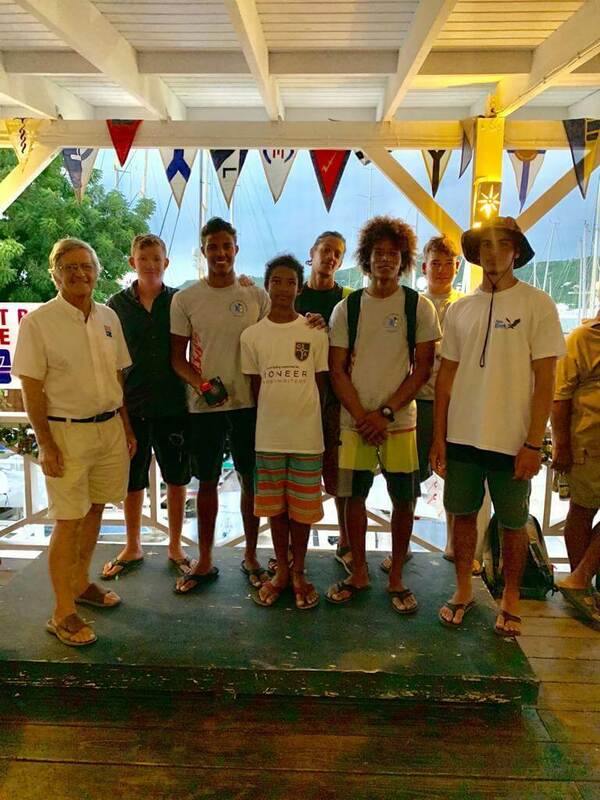 The annual Budget Marine High Tide series at the Antigua Yacht Club attracted a high quality entry and produced high quality competition. Winner of the A class was a very young team from the National Sailing Academy sailing the Cork 1720 “Spirit” whilst the B class was won by a helmsman over 80 years old, being Geoffrey Pidduck sailing “Biwi Magic”. Both winners had tight competition throughout the five races sailed over three sailing days with the final race being on Boxing Day (26th December 2018) . In the A class Spirit had to contend with competition from the Melges 24 Whiplash and sistership and academy colleagues Valiant . In the B class Biwi Magic had to contend with fellow veterans in “Cricket” and “Encore”. 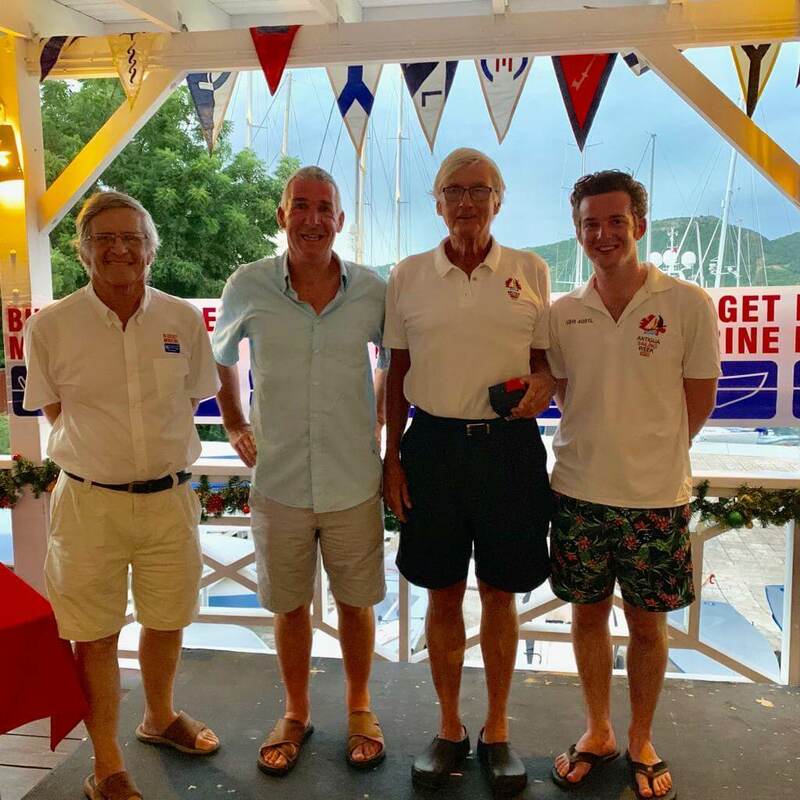 The Budget Marine High Tide series has been providing English Harbour Sailors an opportunity to balance out Christmas merriment and over consumption of food and drink for over 20 years. Jol Byerley the initiator of the event many years ago, is the father in law of current sponsor Budget Marine Founder Robbie Ferron, who has also enjoyed the event for all these years both as a sailor as well as the Master of Ceremony at the prize giving event. The success of the 2018 event was not just the fact that there was a good entry number but also the presence of Antiguan youth on the results podium. 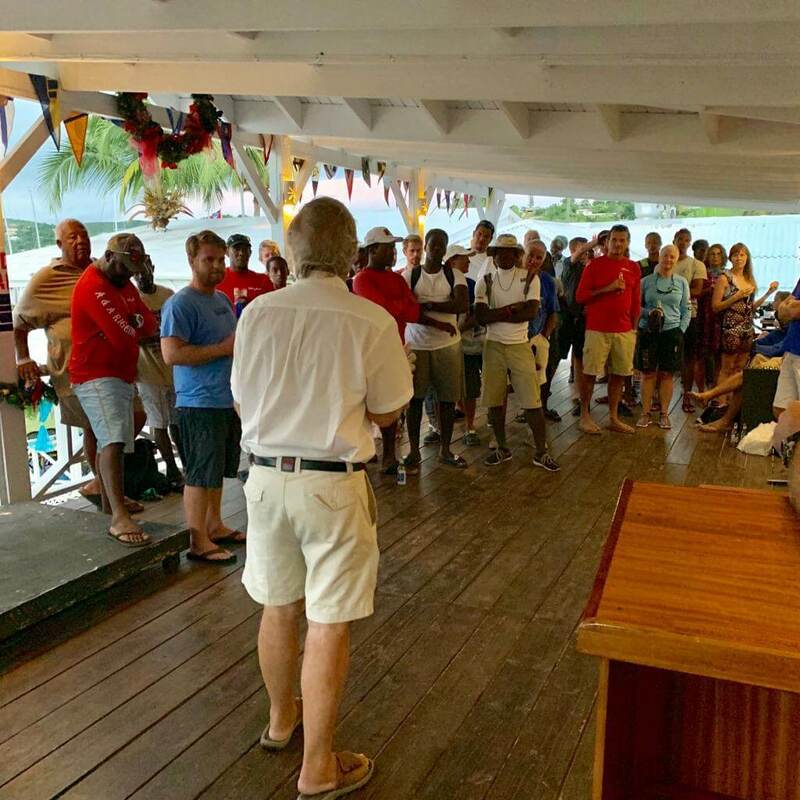 Clearly the Antigua Yacht Club is leading the region in youth sailing development being orchestrated both by the Antigua Yacht Club and the National Sailing Academy. All teams received a Budget Marine Goodie bag with winners walking away with new shoes.